I love Easter time, after all, there is chocolate involved !! 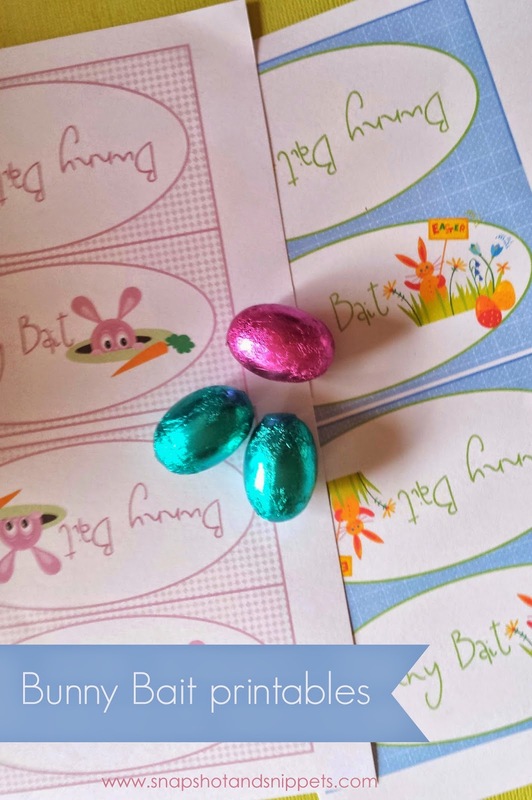 And these cute Bunny Bait Printables are perfect for Easter parties or Gifts. If my post about “5 Reasons not to buy a Bunny at Easter “didn’t put you off bunnies. 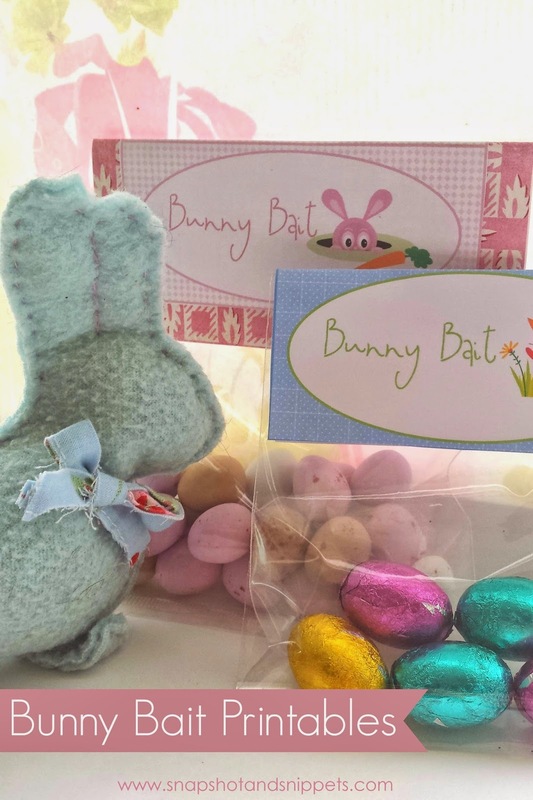 You might want to have a go at making up bags of Bunny Bait to catch your own Easter Bunny. 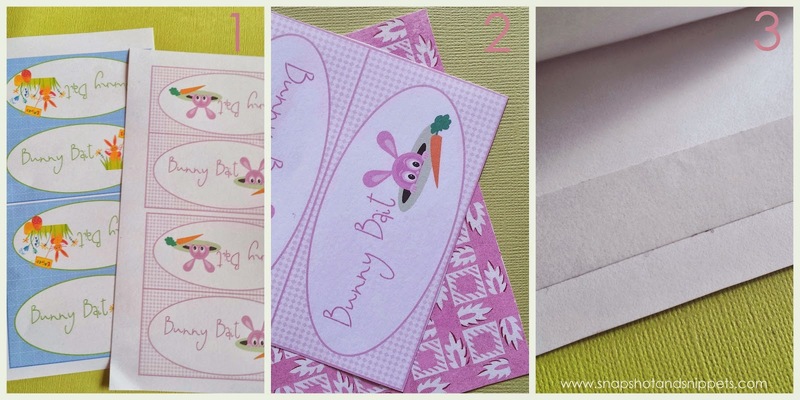 I have designed a couple of Bunny Bait printables to help you make up some bags. The Bunny Bait Printables are available for download. Once you print them out cut them out and attach to bags of mini eggs. 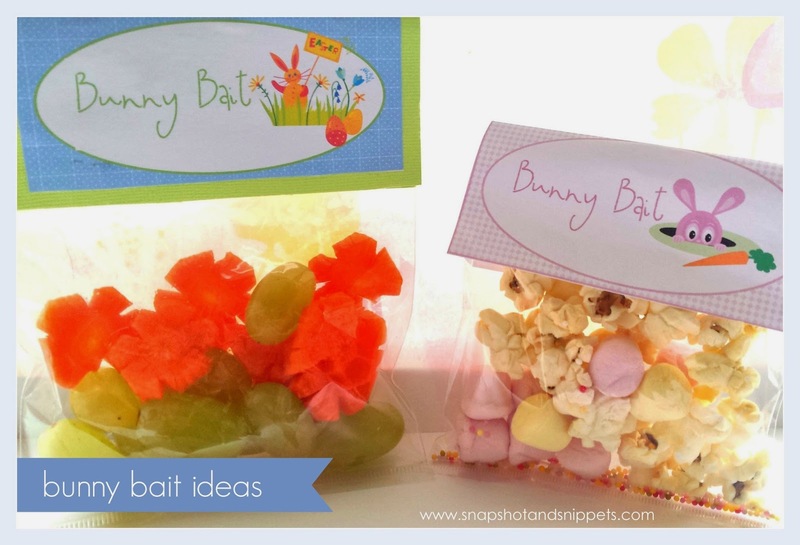 You can also make your own bait with some popcorn with sprinkles and mini marshmallows or make healthy bunny bait with carrots and grapes. TIP : If you find the bag topper is not big enough mount onto a card, so it fits your bag exactly as illustrated below. Hope you enjoy these I had fun making them. If you liked this easy Easter craft check out these Easter crafts below. If you liked this post and wish to find more crafts or Easter recipes from me, head over to Welcome to Snapshot and Snippets. Or you can sign up for the Snapshot and Snippets newsletter for Exclusive Printables and Recipes. Super cute!! I think I'll make a few for my kiddos!! Love the carrot flowers and grapes! Thanks so much for sharing your creativity on at our Show-Licious Craft & Recipe Party! Hope to see more of your projects again on Saturday morning! This is just what I was looking for!! Thank you so much for offering this free printable. I followed you boards on Pinterest..you are so very creative!! ~ Thanks again, Stacy D.